I decided to go Bollywood in our master bath. This way I could take advantage of all the beautiful colors and honor my husband's heritage at the same time. This fascination for all things Indian started when I was a little girl. I received these wedding dolls from a colleague of my mother's. 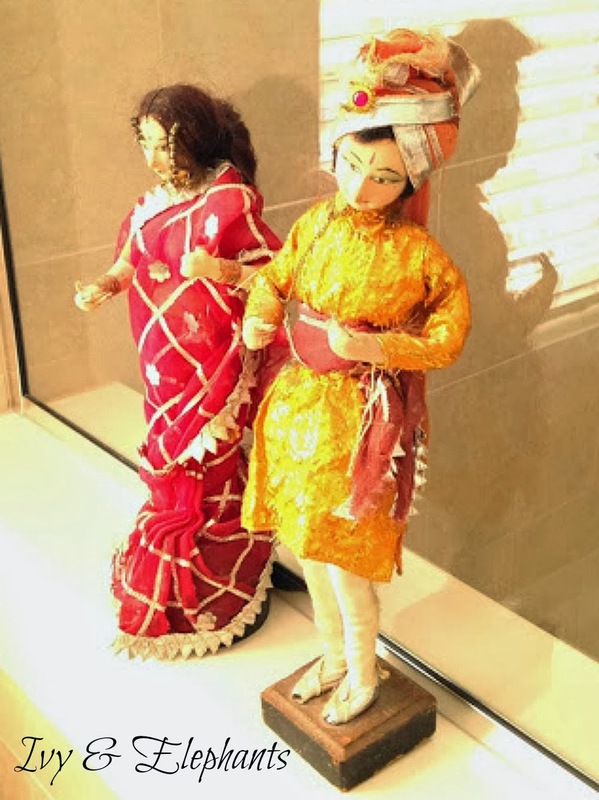 These dolls were brought back from India and I have been in love with them ever since. I have always said that they brought me luck...they brought me my amazing husband. They now have a place in our bathroom. I keep these jeweled boxes on the side of the tub. They make it convenient for me to place hair pins inside. There is nothing like a bubble bath with lavender bath salts and scented candle. My goal was to have a place of serenity. I don't have to tell you how I feel about my elephants. 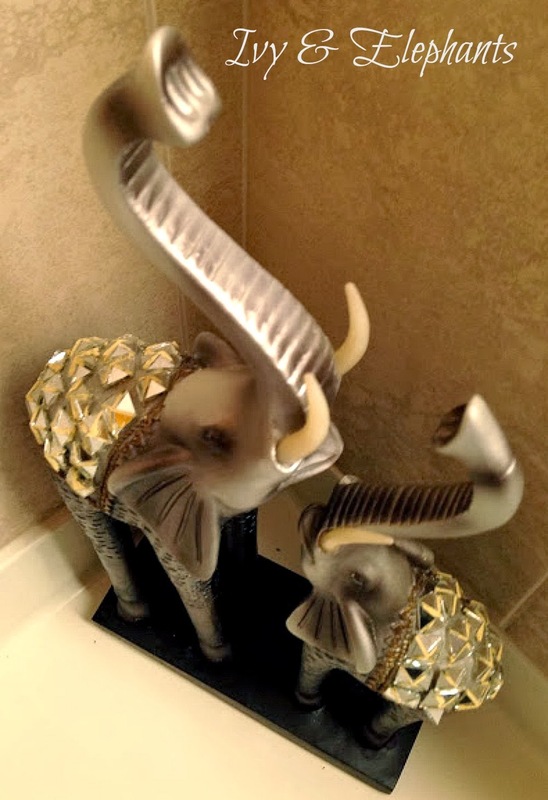 These Indian elephants in silver were the perfect pair next to the tub. My mother always told me to find a quiet place in the home to just vegetate and meditate. A place that is off limits to small children and a husband. I created this space in the water closet part of the bathroom. I have Gandhi to keep me company and grounded. 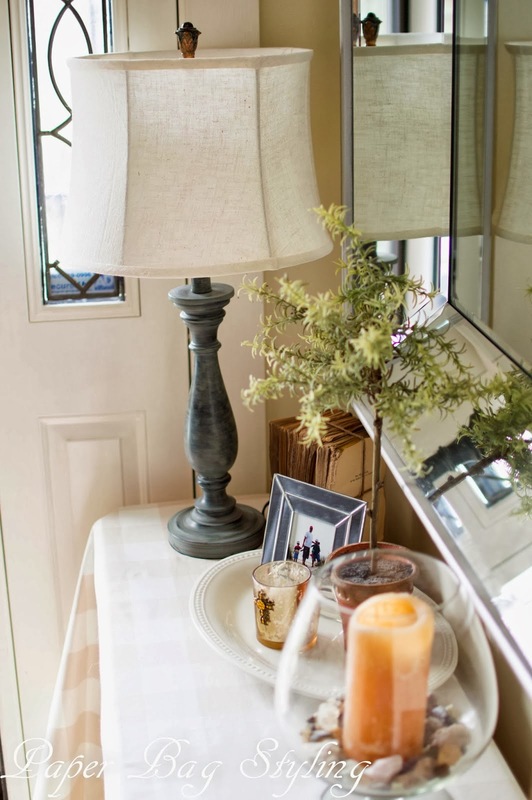 A few years back, I saw Nate Berkus and he had a great idea for personal prints. He said crop a picture on the computer (I used Microsoft Word) to float in the middle of a white field (Instant Mat). I printed it out on photo paper, went to Big Lots and bought cheap frames and voila! 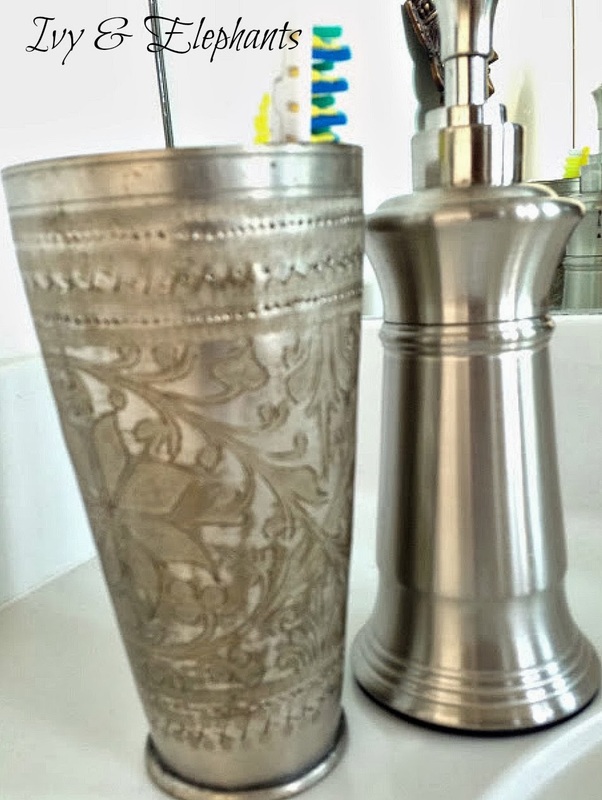 I recently bought my husband this antique Lassi, a traditional yogurt drink with spices, cup from Jodhpur, Rajasthan India. His toothbrush and toothpaste are held inside. Vintage and Antique Lassi cups are my newest obsession...stay tuned. 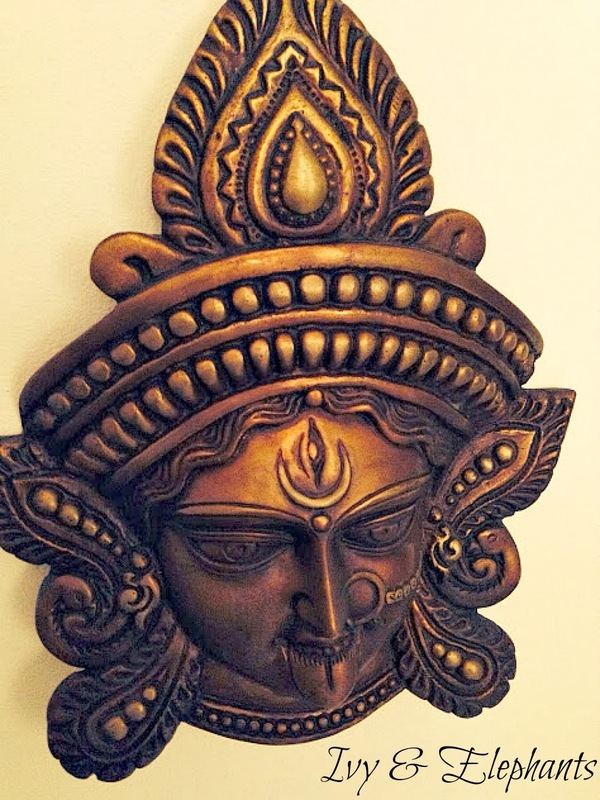 It was love at first sight when I saw this hand casted mask from India. She is perfect next to hubby's sink. For some reason the builders decided to put a towel rack on the back of wall of the large tub. It's most inconvenient, however it was the perfect place to hang one of my saris to enhance the decor. 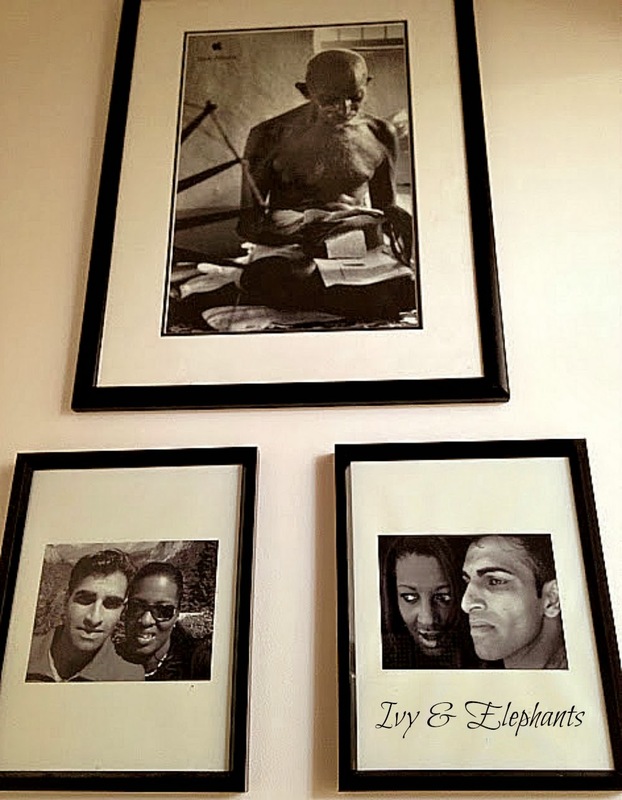 This Bollywood bathroom turned out to be the perfect home get-away for my husband and me. 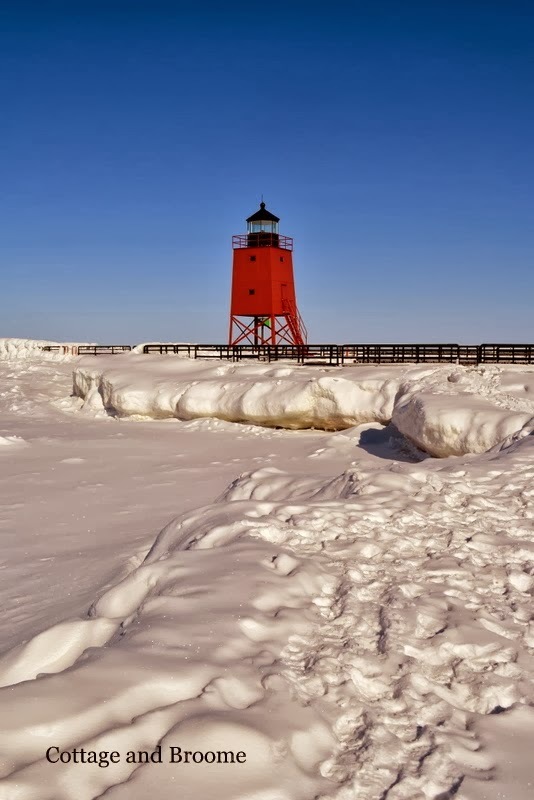 What's your favorite get-away place in your home? 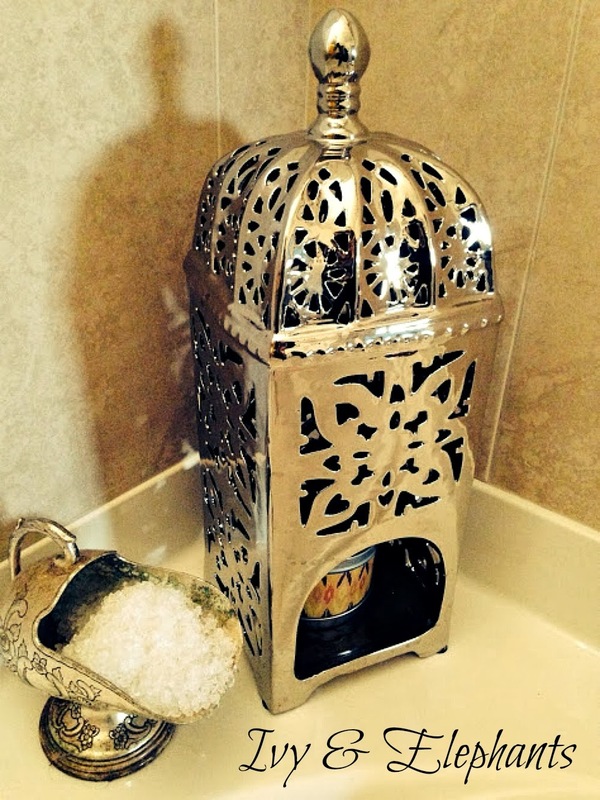 Your Bollywood bathroom is a personalized and peaceful sanctuary. All the little touches like the silver elephants and the dolls and the Lassi cup make it yours. Wonderful I love your bathroom, Bollywood sanctuary style... so very elegant and peaceful, I think I will never come out of there, what a gorgeous place! Thank you so much for hosting sweet ladies! 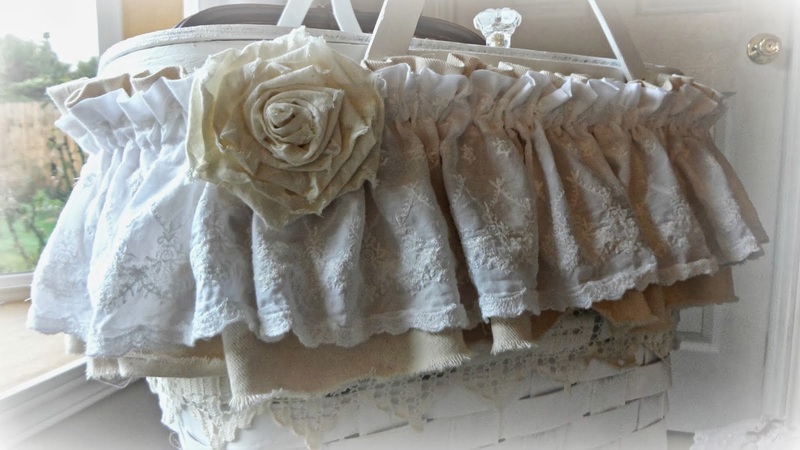 Where do you find all of these fabulous things on your blog? You have some amazing collections. It is always a joy to stop by your blog! It's very interesting and unique, and the story behind it is wonderful! Oh wow, I love this! I just love items that have history and culture, plus I'm just smitten by all Indian decor. 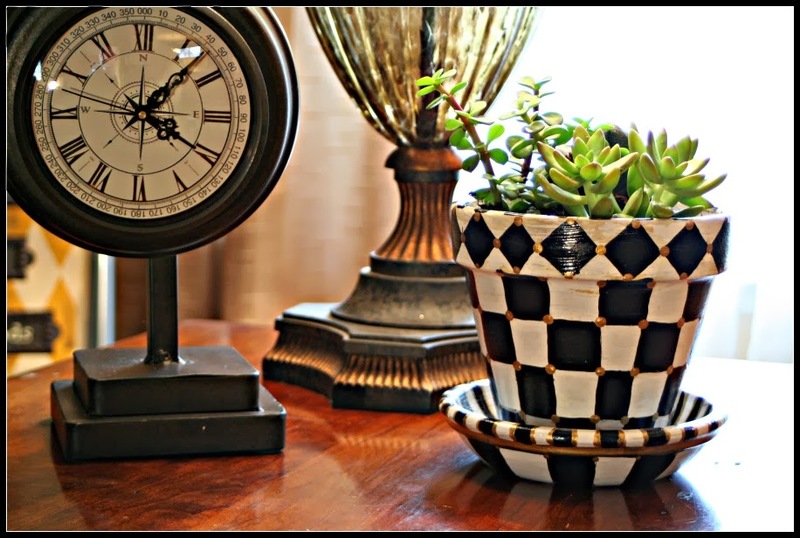 You always have great vignettes! Wonderful way to personalize a private space. Our master bedroom is a favorite retreat for me. Thanks for hosting each week. Great idea on the pictures. I'm going to try that with a few of mine. Thanks for hosting and sharing your home. You always find such interesting things to collect! I babysat for a couple when is was a teen that were working an evening job doing office cleaning so they could earn enough money to go to India and she could meet his family. She came back very happy and with some treasures including a sari. Your bathroom is beautiful. My mother's bathroom has a towel bar at the end like that and she always chose to hang decorative towels there. Surprisingly they don't seem to get wet when someone showers. Looks like you've settled in your new home very nicely! 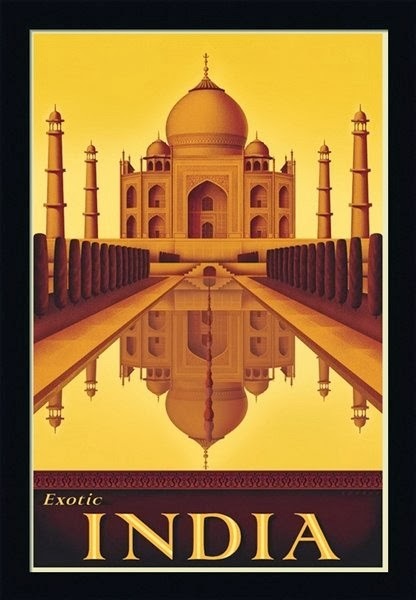 How interesting your interest in the India culture, we all are fascinated with different culture through out the world. my entire house is my quite room since I live alone. I enjoyed the peek inside your bath and background,thanks for sharing and hosting! nice bathroom! and I enjoyed reading the story behind all the decorating pieces. I think my patio is my favourite place in my house. What a soothing place! Your bathroom is so peaceful. I love the indian dolls and everything is very elegant. 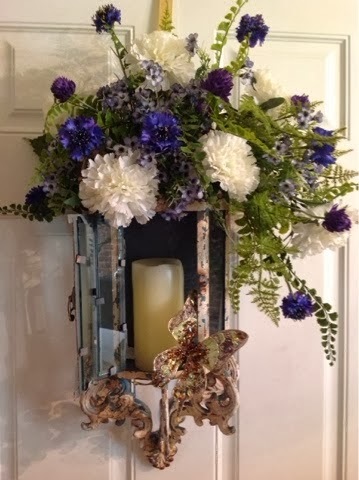 Thanks so much for sharing your beautiful oasis, love all the personal touches you added. What a unique and pretty look ~ I love it! What a good wife you are, very thoughtful. Love the bathroom. Thank you so much for hosting. Love your Bollywood Bath! A lovely space to relax in! Thanks so much for hosting this week! I think there's just something so joyful and happy about treasures from India, Paula. 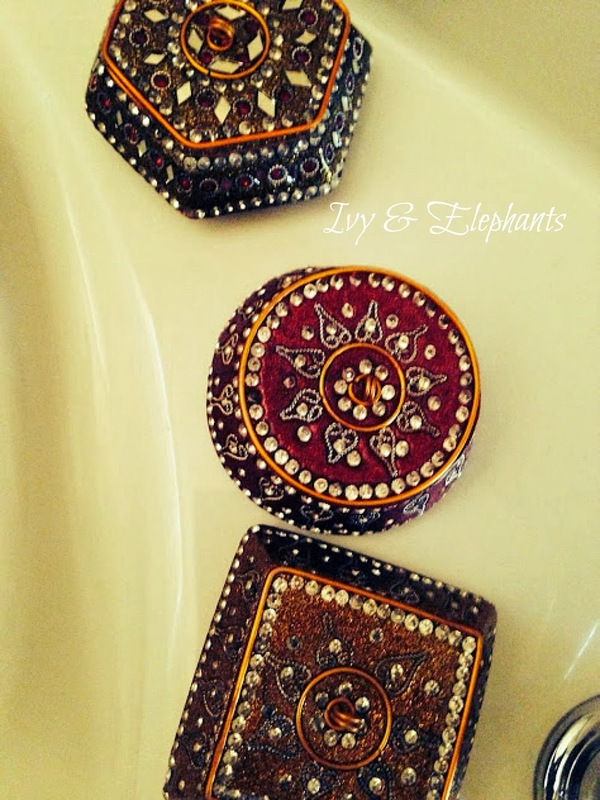 I adore those little jeweled boxes! They would look beautiful in any type of decor! Thank you both for always sharing such fun and informative posts! Love them all! I love the color theme. Thanks for sharing (and hosting!). The graphic poster is a nice element. Oh Patty that's so fab! Colorful and quirky and beautiful! I love it! Thanks for hosting! Lovely bathroom, looks like a great place to escape! Thanks for hosting! That sari is just stunning. Good use of a rail you don't need! You ALWAYS have cool collections of things that are new to me! I feel smarter every time I visit. :) Thanks for hosting the party, Patti & Paula! Your bathroom is amazing! It's like a treasure box full of India. Displaying your sari is such a perfect feminine touch. I absolutely love saris... they contain such beauty and talent. Every touch is so lovely. And you & your hubby are gorgeous together. Thanks for sharing such a personal love of the culture from India. Thank you for hosting, Paula. Hvae a great week ending. Thank you for sharing your beautiful bathroom! And thank you for hosting! Gorgeous bathroom. Loved the last shot. Beautiful. Gorgeous black and whites. 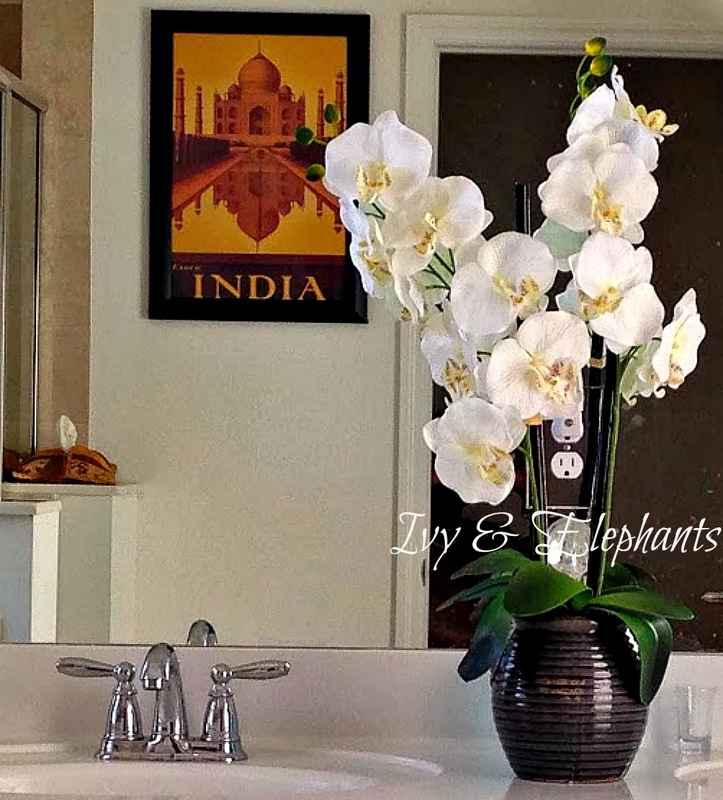 Paula your bathroom looks awesome, I specially love the elephants by the tub, thanks for featuring my lantern, it means the work. Many thanks for hosting your fun party each week. Thanks also for the email invite! Thanks so much for hosting this wonderful party - great posts. My favorite get away place is my backyard with all my lovely roses. I just love personalized everything is - it is a space that is uniquely about you and your hubby. It's beautiful! Thanks for sharing it and for hosting such a great party! You have some interesting collections. Thank you for sharing with us. FYI- I am no longer hosting my HOME linky party because of computer issues I had been having. Have a wonderful weekend. Mother Kali mask you are putting next to a sink which is not respectful. In Hindu tradition She is very respected. Please reconsider. first visit to your blog -- love Bollywood movies, so had to see this! Very pretty and peaceful. Thank you for the inspiration...a blissful weekend to you! 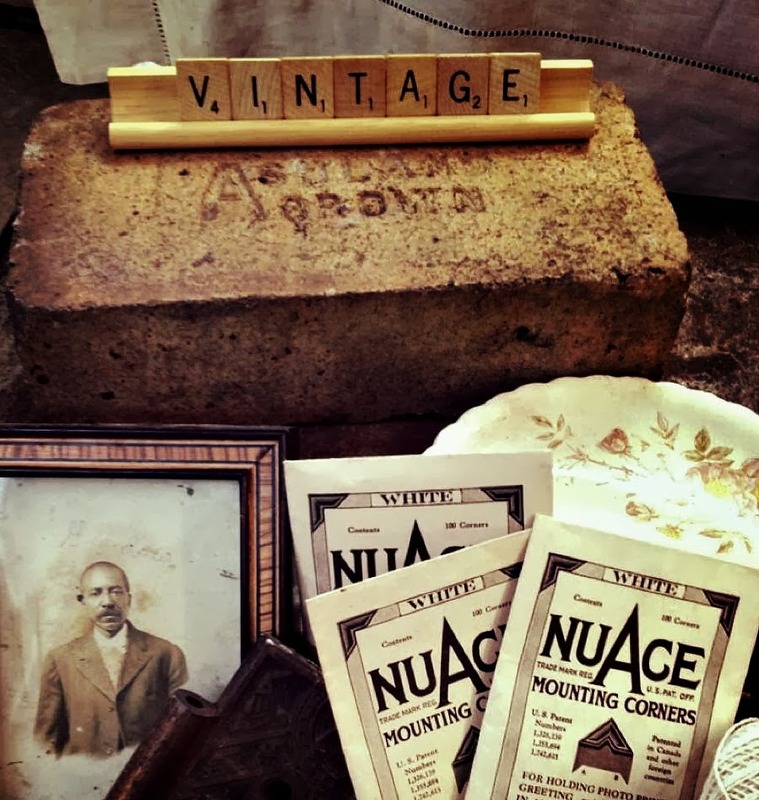 I love pieces that have a story behind them and aren't just taking up space in the home! What a lovely corner you have carved out for you and your husband! This is beautiful. Thanks for linking up with the Let's Get Real Party this week. I love that you are honoring your husbands heritage. The b&w photos are wonderful! Thanks for sharing it with SYC.